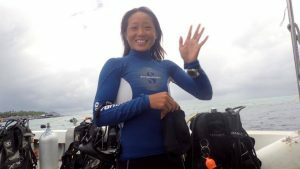 Preparation for the PADI IDC on Seaventures Dive Rig with Divemaster Jocelyn Hoon. Eleven more days. Just eleven. The countdown to instructor examination has begun. Theories. Formulas. Test papers. Manuals. Tables. Workbooks. Slates. Digital Dive Planner. Underwater Skills. Presentations are we really ready for this? 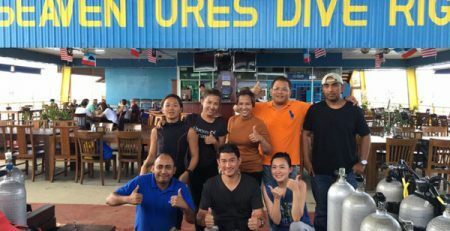 For many years, some of us have been building a career in the diving industry as dive masters – where we learnt much about scuba diving, our local environment, safe diving practices, and also, how to make our customers happy. Most of the time, we get experienced divers here on the rig but sometimes, we do receive some who may require a little more attention underwater. ‘Time for our safety stop’..
What is the PADI IDC really? It is an Instructor Development Course meant for those who are PADI Divemaster levels and above, who would like to pursue the next level of scuba diving: teaching scuba courses. For every IDC, there will need to be candidates, a Course Director, his/her assistant(s) and an Examiner. Our course director (or CD) is a local with many years of experience under his belt. In preparation for us to become PADI scuba dive instructors, he had decided to begin the IDC in 2 parts – the first – for us to know what would be in store for us (an introduction & prelude to the IDC), and the second – more theory, more practical, and confined water skills which we dearly hoped would prepare us for the final exam. So far, so good. Much of the first part of the IDC was spent in the classroom – going through some theory we may have forgotten from the past and a few days later, some basic underwater skills presentations. A few of these included memorising formulas but also, a good understanding of the factors that revolve around scuba diving. Imagine questions like What is the partial pressure of nitrogen at 50 meters of sea water? or Diving accident victims should be? 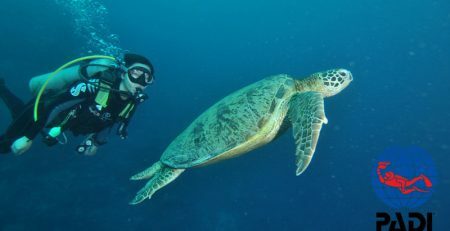 The practical bit was easier on all of us – easier because we spent most of our days underwater, so we were at least well accustomed to the local environment and scuba equipment. The situation however, was a different thing. 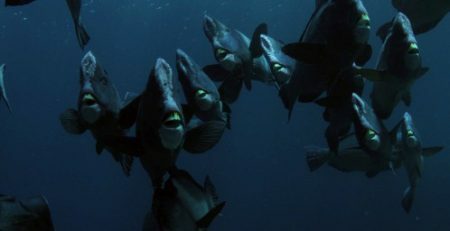 We were accustomed to performing the skills by ourselves and sometimes, as a reminder to experienced divers but rarely ever to new divers (unless of course, we were assigned to assist on any such courses with a certified instructor). In total, there were 5 of us (all candidates are Seaventures staff). Which brings us back to the question: are we really ready for this? Perhaps we are.